The Popović family originates from Prelluzhë/Prilužje village in the Vushtrri/Vučitrn municipality where they own a house and land. The family used to be comprised of 7 members. The family fled to Serbia from Vushtrri/Vučitrn in 1999. They were privately accommodated in a village in Vrnjačka Banja. Božidar and his wife had five daughters. Four of them got married in Serbia. Božidar’s wife passed away in displacement and left him and his unmarried daughter, Stanislava, as the remaining members of the family. The high rent of their accommodation and other hardships in displacement made the family decide to return to Kosovo hoping for a better life. In 2011, Božidar and his daughter Stanislavaspontaneously returned to their family home. Upon return their housing conditions were relatively bad, as well as their economic situation. Mr.Popović has medical issues that require him to travel to Serbia frequently for regular treatment given that such treatment is not available at the place of return. Following comprehensive assessments, the family was selected for the BPRM project support by the Beneficiary Selection Committee. The family was assisted with Minor Shelter Repairs and Food/Non-Food and furniture assistance also followed. Eventually, Stanislava managed to find a fairly well-paid job in a local primary school led under Serbian curriculum as an English Teacher. Her teacher salary and Božidar’s pension from the Serbian government are their only sources of income. 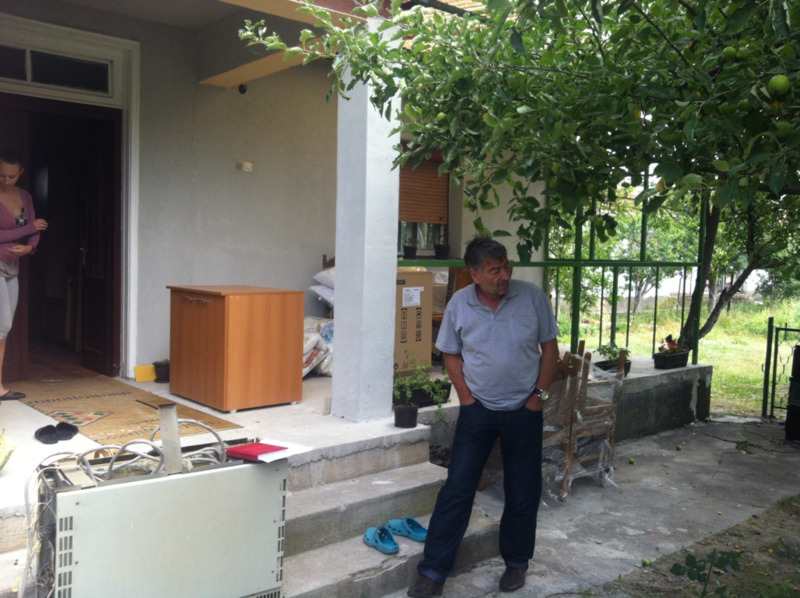 He is not eligible for Kosovo pension until he is 65 years old. In their return area the family feels they can move freely as there are no security constraints and they have access to all existing social and health services there. The Municipal Office for Communities and Return is also located in the same area providing a direct link with the municipality. The Reintegration of Spontaneous Returnees to Kosovo project assisted the reintegration of spontaneous return of 21 families to Kosovo through facilitation of interethnic dialogue; assistance in housing rehabilitation or reconstruction; provision of humanitarian assistance packages consisting of food, non-food items,and furniture; distribution of income generation grants; and support in accessing basic services such as healthcare and education. DRC coordinated activities with the Ministry of Communities and Returns, UNHCR, and the relevant local municipalities. The project was funded by the United States Bureau of Population, Refugees, and Migration (BPRM).